Designed by R. P. Rampling, St. Nicholas Parish Church overlooks the Ribble Valley village of Sabden, an award-winning village in Lancashire. 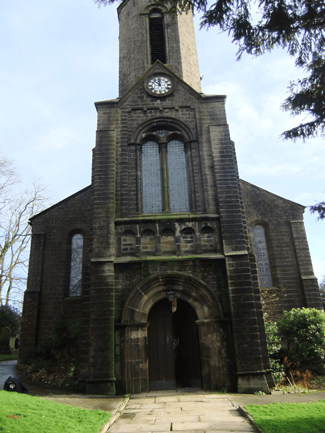 The Grade II listed church consists of a four-bay nave and tower, constructed in 1846. The church also houses a rare and unusual organ created by John Laycock dating back to 1879. The church is built in a Norman style characterised by the round arches over the windows made from sandstone alongside a slate roof. 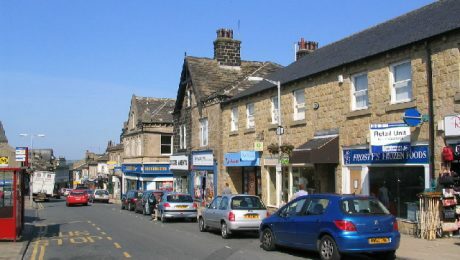 Lancashire was established in 1183 and the county covers an area of 3,075 sq km – making it one of the largest shire counties in England. 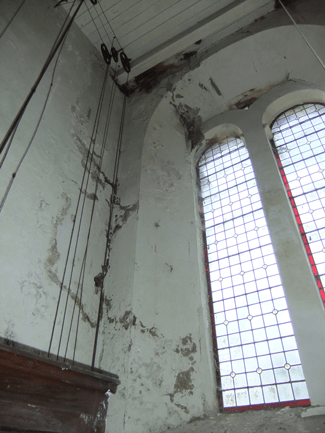 A major restoration project was underway at the church and they needed a full damp and timber survey carried out. 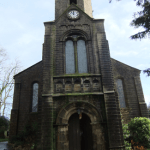 Timberwise North West provided a full inspection of the church and created a report outlining the issues noted on the day of the inspection. 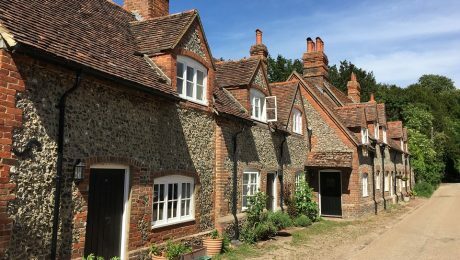 After a meeting with their Architect and providing English Heritage with all drawings, costs and tender documents for their approval, Timberwise were appointed as the main contractor to treat the church for a confirmed dry rot and woodworm infestation. 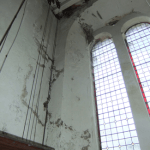 What once was a beautiful church is now troubled by dry rot and woodworm. Time to restore this church to its former glory! Within the lower tower, large fruiting bodies of true dry rot (Serpula lacrymans) were clearly visible on the walls as well the clock face and floor joists. 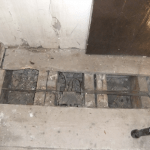 Dampness was also recorded in the bearing end sections of the timber joists. 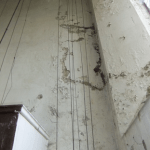 The dry rot in the tower was as a result of various building defects that had allowed water to enter the building including slipped and tabbed roof slates and corroded rainwater goods. 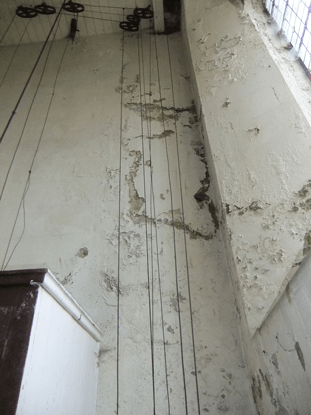 At the top of the tower, penetrating damp was evident due to the damage to internal walls. Woodworm was also were evident in the two large beams that supported the floor. Before the repair works could commence, the Laycock Organ, which was located directly under the falling ceiling, had to be dismantled and protected to enable scaffold access. 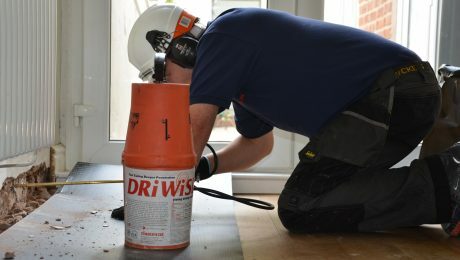 Water ingress to three other areas involving drainage, re-bedding stone copings and re-pointing was also dealt with prior to Timberwise’s arrival. The dry rot repairs included replacement of two timber levels within the tower. 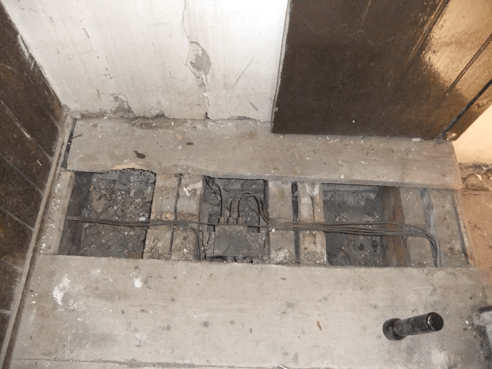 Where timber was decayed as a result of the dry rot or dampness, such as bearing end sections, the sections were removed and replaced with newly treated timbers. Fungicidal paste and fluids were used to treat remaining timbers, such as floor timbers and bearing ends, when the walls dried they were re-plastered in lime plaster. The Nave lime plaster ceiling, which was failing due to a defect in the spacing of timber laths, was also replaced. The treatment for dry rot was also injected into the walls and applied to the masonry to treat the dry rot affected areas. Insecticide solution was applied to timbers affected by woodworm and damaged timber paneling was also removed and renewed throughout. The St. Nicholas Parish Church was closed to the congregation and the public for over two years with final costings was in line with the original budget. The restoration of the church had the overwhelming support of the community, who were very grateful to get back into their place of worship. If you are having problems with woodworm or dry rot we always recommend that you should contact a specialist. Both, if left untreated can cause significant damage. Click the following link for more information about treatment for woodworm. Our team of treatment specialists have over 50 years experience and with accreditations such as Which? Trusted Trader and the Property Care Association you can be left assured your church is in good hands. If you would like to get in touch with any of the topics discussed or to book a survey with one of our surveyors then simply request a survey.